Global Abilities is committed to helping persons with disabilities achieve active lifestyles. However, our programs are expensive. Each Rec Fest costs about $20,000, and a sports wheelchair can cost over $5,000. GAF hosts the annual Golf Classic and Silent Auction to raise money for our programs. The success of our programs is thanks to the continued support from individuals in the community. Please help us fund the work that we do. Click on the Donate button to make an online donation. 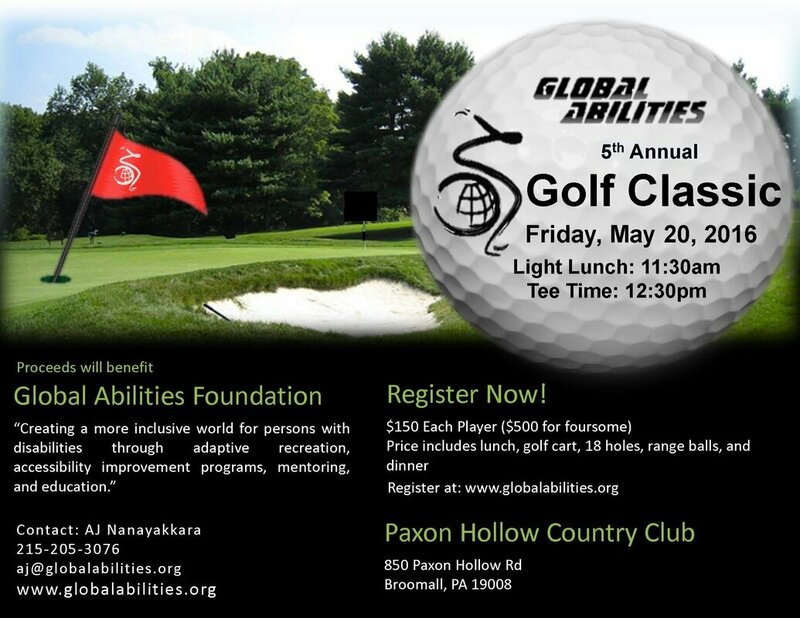 We hosted the Fifth Annual Global Abilities Golf Classic, Dinner and Silent Auction at Paxon Hollow Country Club on Friday, May 20th, 2016. 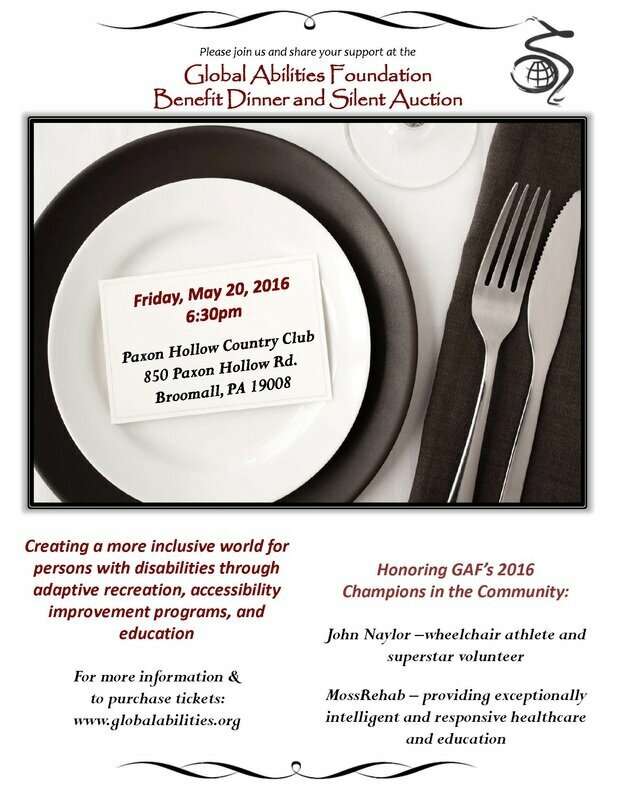 Thank you to our friends for supporting Global Abilities' disability inclusion programs.